On behalf of the Carolinas Chapter of ASID, we are excited to present you a most unique travel opportunity! 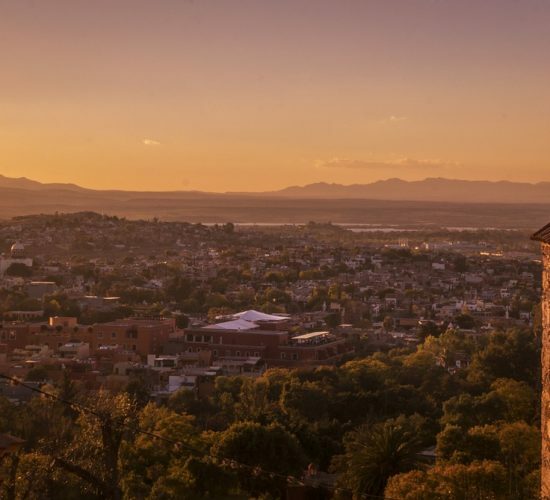 This is not an ordinary trip, but a curated experience full of behind the scenes opportunities that will enhance your time in San Miguel. As with our 2018 and 2019 trips we invite everyone to join us! 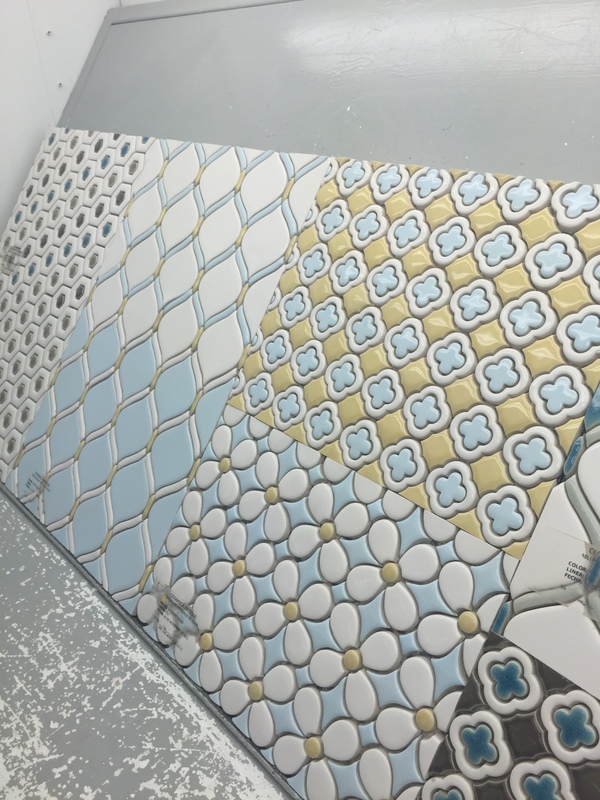 You don’t need to be a designer, or an ASID member to attend. 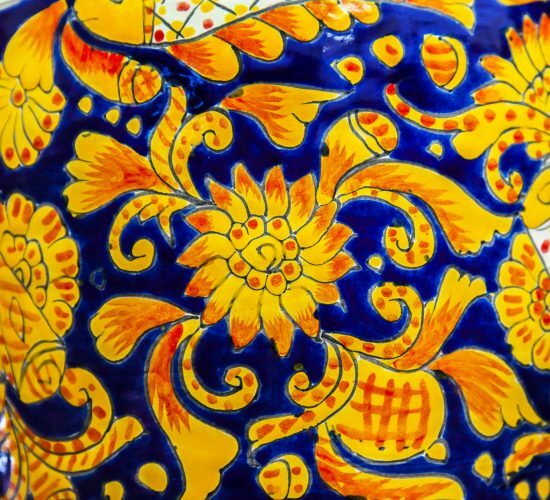 So if you love art, culture and captivating cities please take the time to explore the details below and join us as we venture back to a fascinating and magical place! 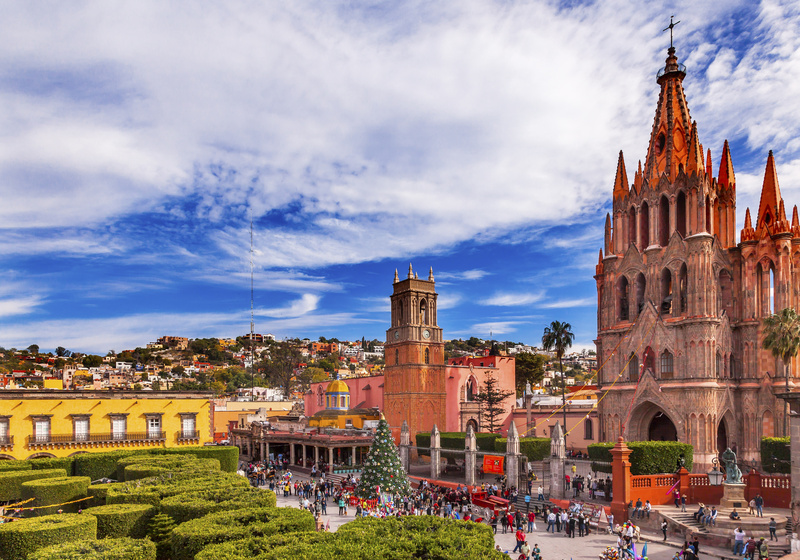 San Miguel de Allende has long been known for its romantic cobblestone streets, well preserved charm, art galleries, fine dining and festivals. 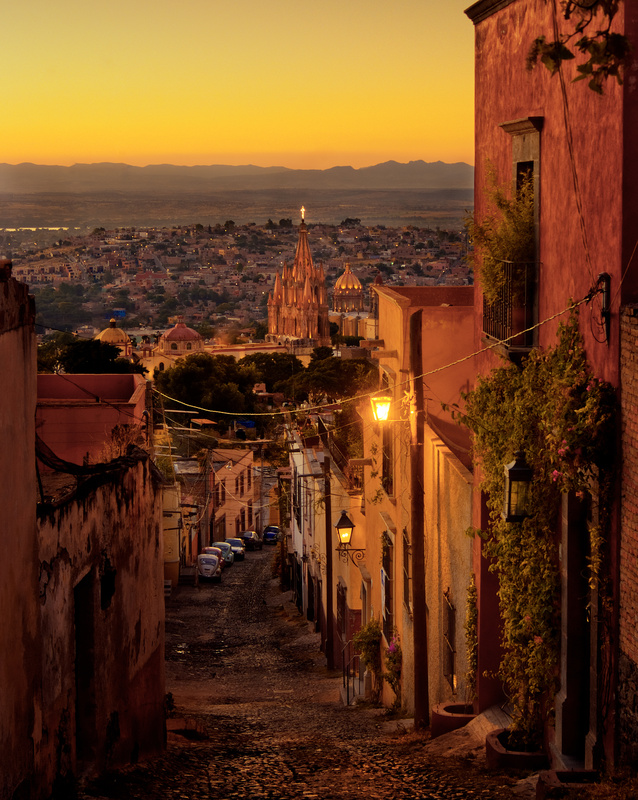 Travelers for decades have found themselves returning to San Miguel de Allende time and time again, contributing to it’s rich creative history. 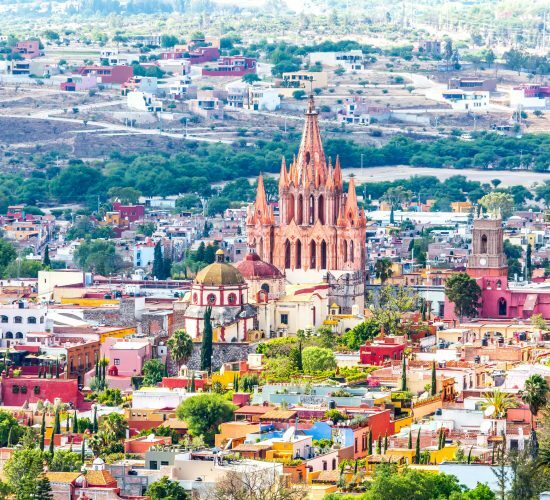 This colorful city, nestled in the rugged Mexican Sierras, finds itself consistently on numerous “Best Cities” lists year after year. 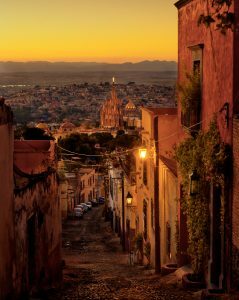 In 2013 San Miguel was voted Condé Nast’s number one city in the world and received that honor again in both 2017, and 2018, when it was voted the number one city in the world by the readers of Travel + Leisure magazine. Join the Carolinas Chapter of ASID on an amazing journey as once again we return and explore the art and architecture of this UNESCO World Heritage city March 5-10, 2020. Hotel check-in at the Rosewood is at 3:00pm. We’ll meet as a group this evening at 6:00pm for our Sunset Welcome Cocktails (hors d’œuvre, beer and wine provided). During this time you’ll meet your onsite hosts and local guides and receive an overview of your stay and destination information. Following our welcome event your evening will be at leisure. 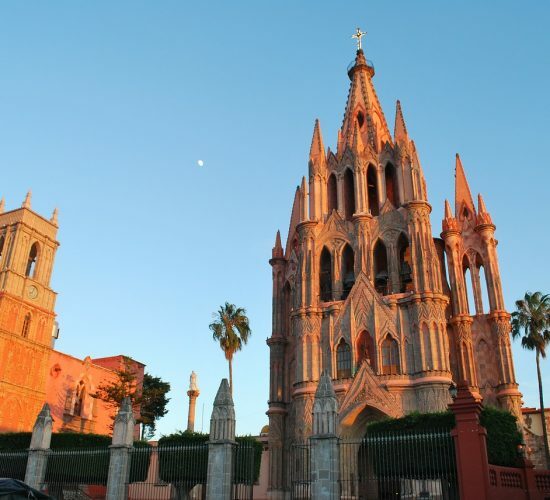 Today we will enjoy a morning walking tour of San Miguel de Allende where you will learn the history and culture of this amazing city with architectural insights. During the tour today we will have the opportunity to view private homes. Following the tour we will enjoy lunch and margaritas together. The remainder of the day will be at your leisure. 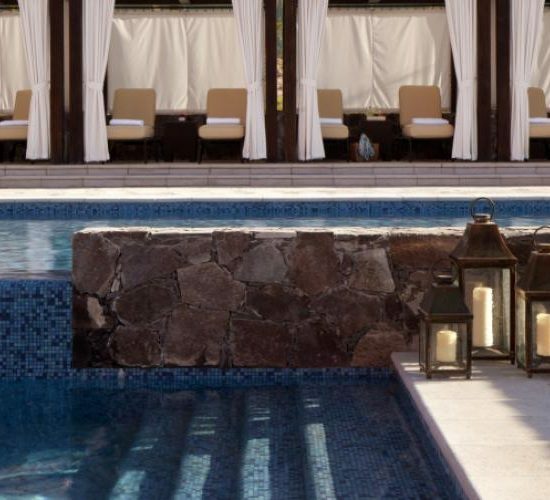 Enjoy shopping the Artisan’s Market, San Miguel Shoes, or simply enjoy the pool at Rosewood. 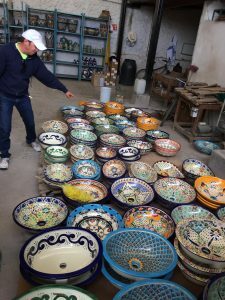 Tour A: Dolores Hidalgo- This small town is best known as the birth place of Mexican Independence and the famous Talavera ceramics produced here. We’ll see these works of art created in the workshops and have a brief chance to shop following. 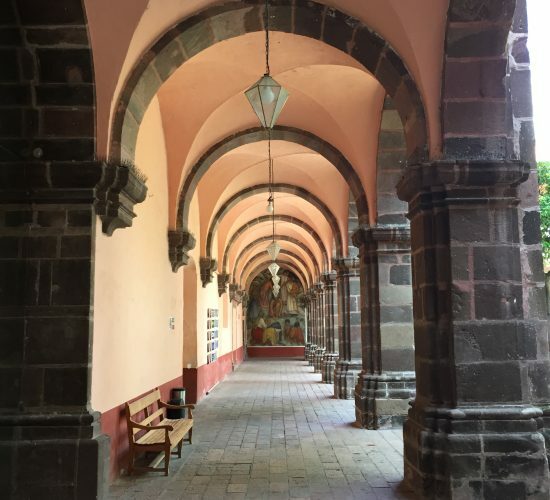 Today’s tour also includes lunch followed by a visit to the Church of Atotonilco (known as the “Sistine Chapel of Mexico” due to its wealth of 18th Century paintings) and a private home tour. Tour B: Returning group members will have the opportunity to enjoy a day at leisure today, or select from one of our optional tours. 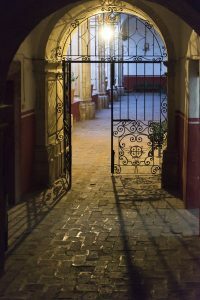 This evening we will explore San Miguel’s wealth of art and culture as we enjoy the Fabrica La Aurora Artwalk. 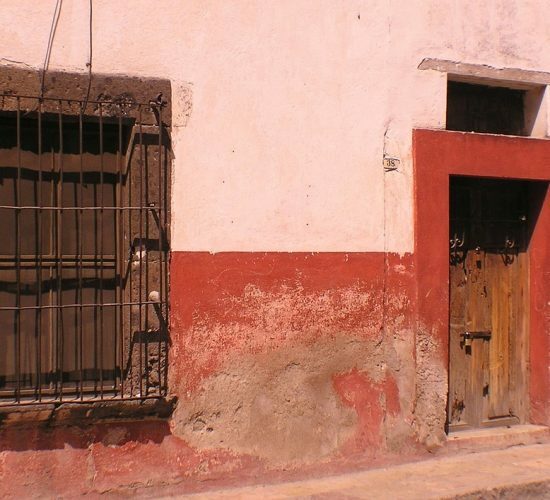 This former textile factory turned Cultural Arts and Design Center is a highlight of any trip to San Miguel de Allende. 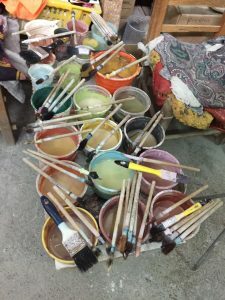 Enjoy wine, refreshments and visiting with local artists about their work and design inspirations. Please wear comfortable shoes for walking this evening. Following the Fabrica La Aurora your evening will be at leisure. 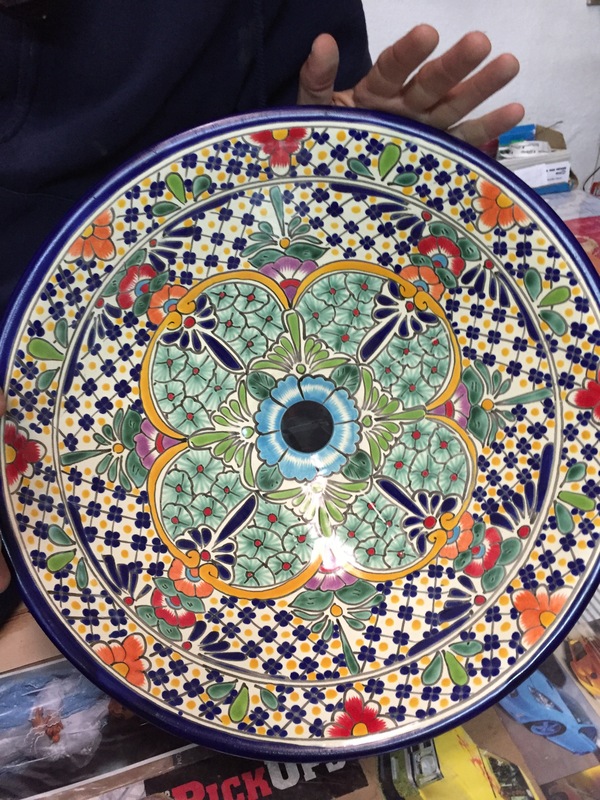 Today we’ll enjoy a leisurely stroll to San Miguel’s ” Art in the Park” located just steps from the Rosewood followed by a day at leisure. 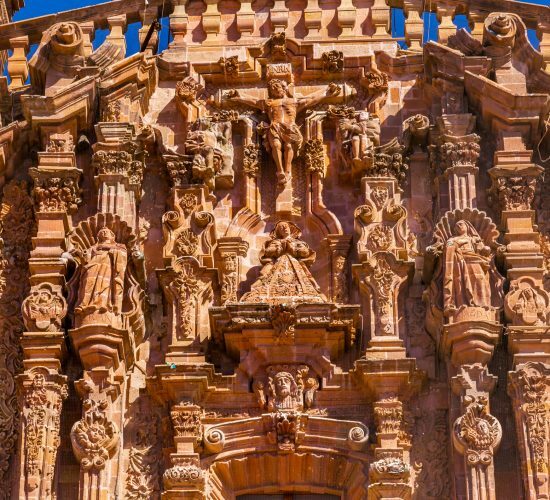 Alternately group members interested in selecting from one of our optional tours such as a day trip to Guanajuato City will be able to do so. Immediately following our time with Bill and Howard we will transfer to see another home and enjoy a private group dinner together. 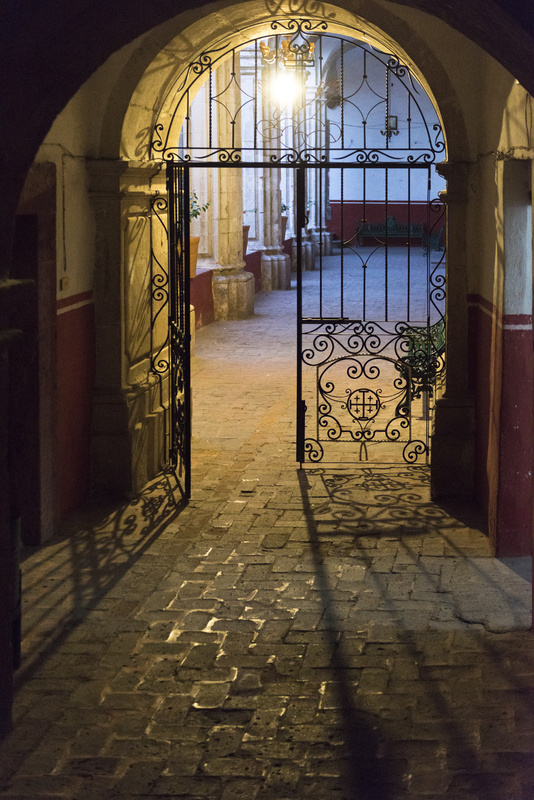 Following our return to Rosewood San Miguel your evening will be at leisure. Be sure to book your spa appointment early. Spa times fill up quickly! 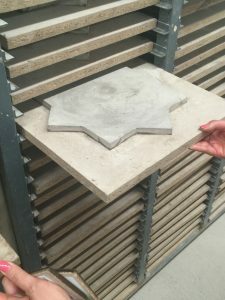 The master craftsmen at the Walker Zanger tile factory, located 40 miles outside of San Miguel de Allende in the Central Mexican highlands, still press and finish each terra cotta tile by hand. This optional, exclusive, half-day excursion is included for interested group members. This evening we will enjoy a farewell cocktail at Rosewood. The remainder of your evening will be at leisure. 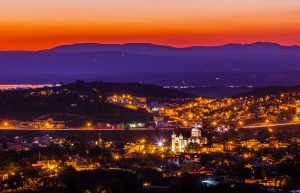 Airport transfers are provided and begin this morning from Rosewood for flights departing from Leon (BJX) or Querétaro (QRO). Group members departing today will need to book their flights for departure from their airport of choice by 2:00pm. Group members booking flights departing after 2:00pm will be transferred to the airport with the last group transfer at 10:45am. 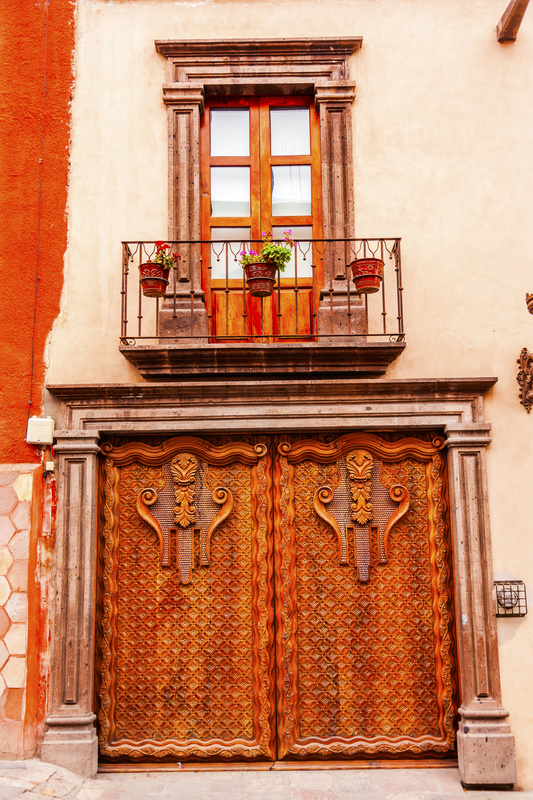 The luxury boutique hotel of Rosewood San Miguel de Allende® is nestled among the handsome colonial villas, cobblestone lanes and church spires of central Mexico’s oldest town. This resort sanctuary located within the historical heart of downtown offers 67 beautifully appointed accommodations, a Rosewood Spa®, signature restaurants, a rooftop lounge, and an outdoor amphitheater. 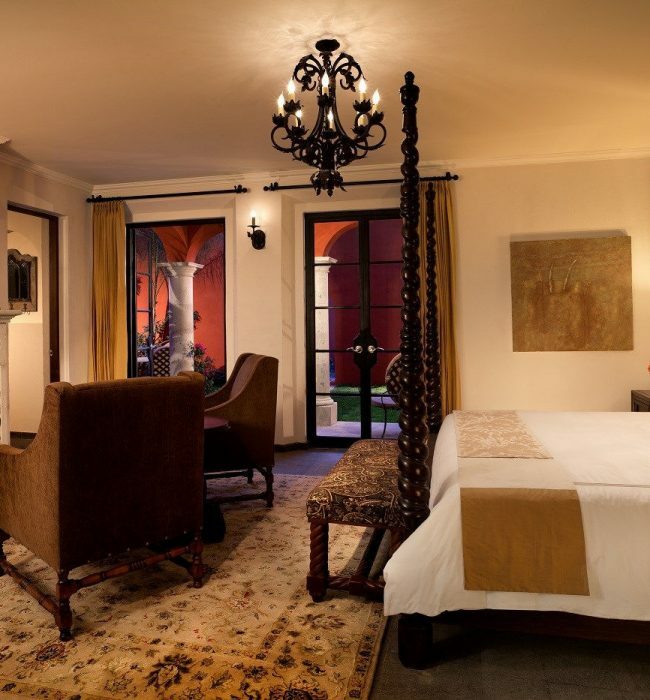 All 67 rooms and suites at Rosewood San Miguel De Allende Hotel offer spacious living areas, wood-beamed ceilings and furnishings of the finest Mexican craftsmanship. 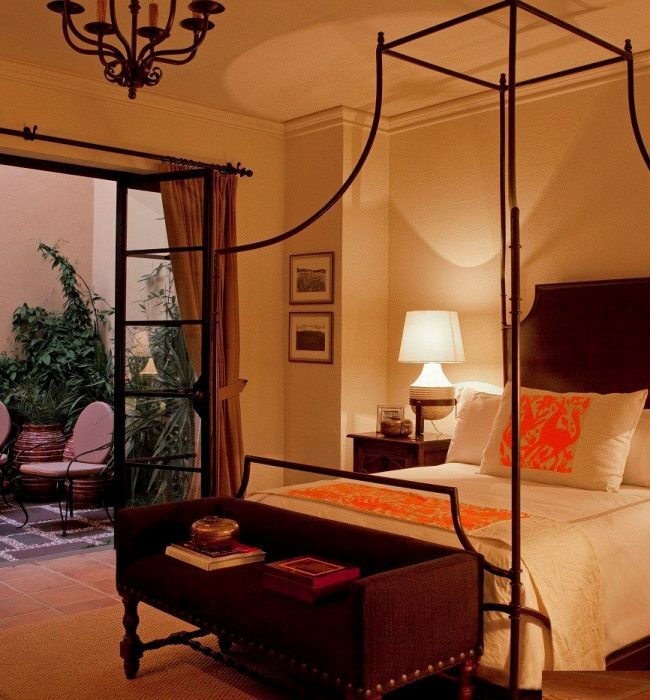 Ground-level rooms and suites are graced with a private terrace and garden while accommodations on the second and third floors offer private balconies with views of San Miguel de Allende’s El Centro, the resort’s lush gardens and/or the sparkling pools. Complimentary wireless internet is included with each room. Package cost includes ground transportation, accommodation in either a Colonial Double or Colonial Deluxe King room for 5 nights with taxes and service charges, private home tours and functions where mentioned, meals as mentioned, services of a local guide. Package cost is per person based on indicated occupancy. Package cost does not include incidentals, spa, meals not listed. 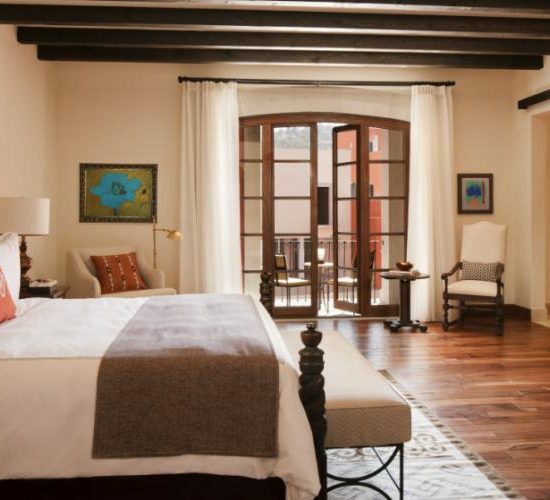 For an elevated accommodation experience we are able to offer a Four Bedroom and Five Bedroom residence option at the Rosewood Residences® at Rosewood San Miguel de Allende (very limited availability). These luxury homes are located on the same property as the hotel and enjoy full access to all hotel amenities. 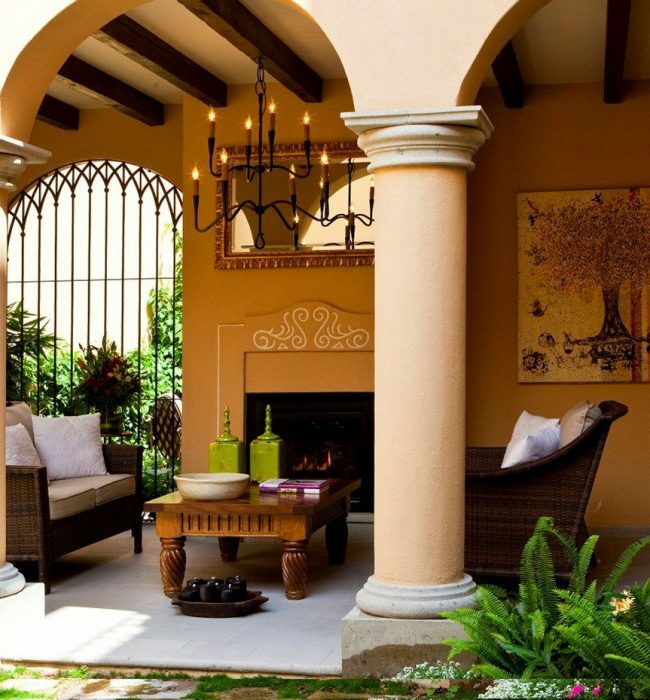 The Residences feature an array of amenities designed to highlight the luxury of life in this Spanish Colonial town. Dramatic entries and central courtyards are focal points of every floor plan, as are multiple indoor/outdoor living spaces that allow for doors to stay open, letting celebrations – and gentle breezes – flow between kitchen, dining room and patio. 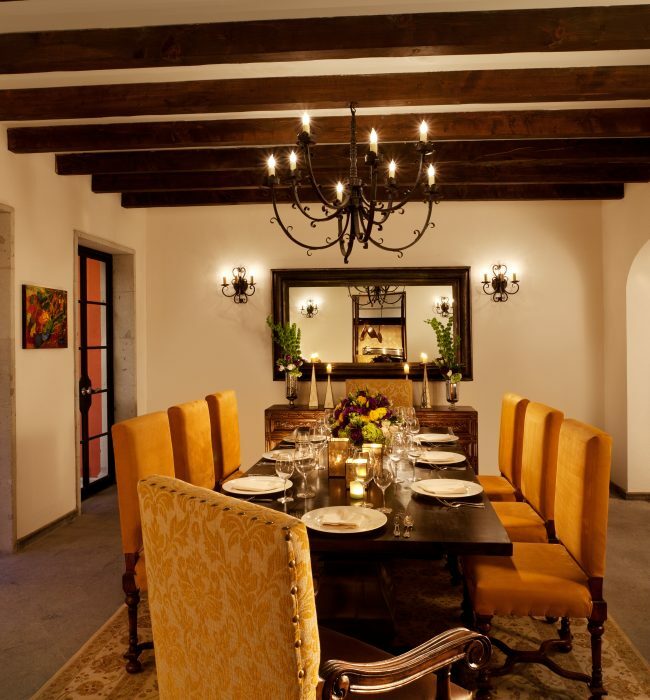 The interior of homes at Rosewood Residences® are inspired by centuries of authentic Mexican design and décor. 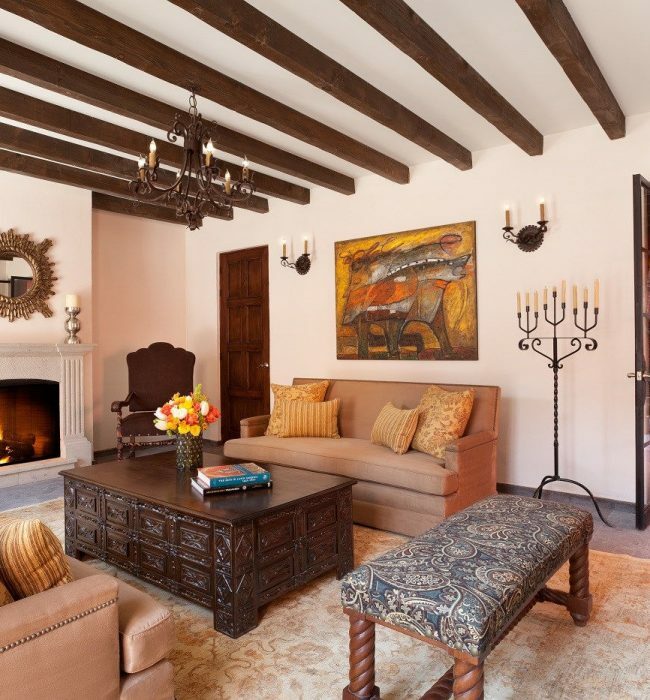 Rosewood Residences® offers two stunning interior finish packages inspired by the textures, colors and motifs of San Miguel de Allende: Rustic and Refined. 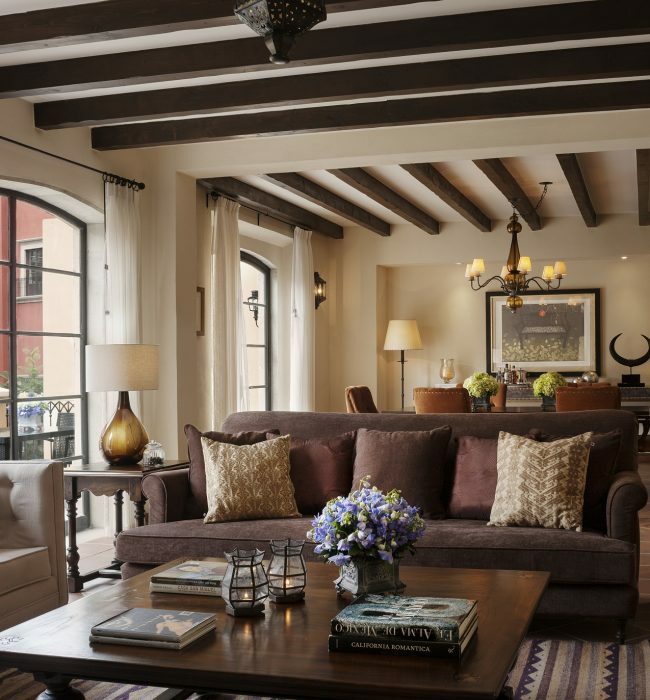 While the Rustic touch evokes the more traditional side of living in San Miguel with local materials and finishes to create an elegant yet casual ambiance, the Refined option employs the use of more contemporary textiles to define a space that is sophisticated, sleek, and more formal. Package cost includes ground transportation, accommodation in either a 4 bedroom or 5 bedroom residence for 5 nights with taxes and service charges, private home tours and functions where mentioned, meals as mentioned, services of a local guide. Package cost is per person based on indicated occupancy. Package cost does not include incidentals, spa, meals not listed. Each Residence has two rooms that offer 2 Queen beds. Remaining rooms in the Residence will offer only 1 King bed. Space for this trip is limited and early deposit is highly encouraged in order to secure your spot. For group members who feel 5 nights are not enough to fully experience this amazing city we are able to requested extensions to your hotel stay for an additional cost. 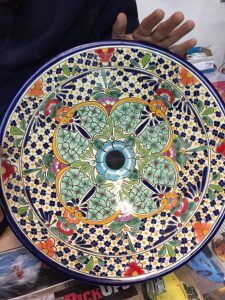 However, the month of March is a busy time in San Miguel with many events and festivals. 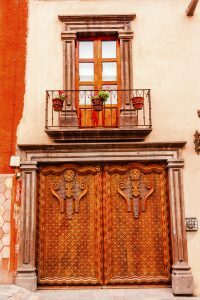 Due to high demand and the boutique nature of the Rosewood San Miguel de Allende extensions and pricing are based on hotel availability at the time of request. We recommend booking your extension at the time you make your initial deposit. Please select Melinda H. using the button above or the link below to submit your payment. When asked for your confirmation number, you will simply put SMA2020 as your confirmation. You will also be required to select or decline the travel insurance. If you select YES to the travel insurance, please add the $139.00 per person insurance cost to your initial deposit amount. 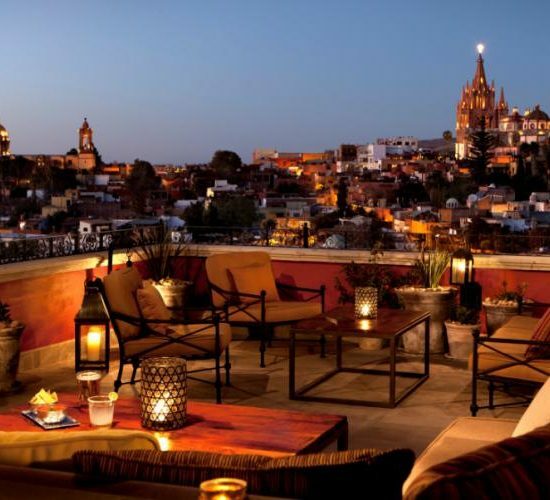 Package includes 5 nights at Rosewood San Miguel inclusive of taxes and resort fees, transfer from airport to hotel with stop to allow currency exchange, sunset welcome meeting with canapés, wine and beer. Walking tours with guides and architect. 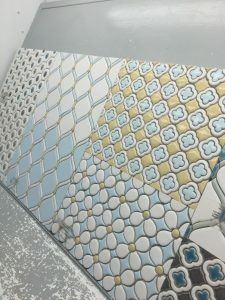 Private home tour with cocktails and dinner. Dolores Hidalgo with guide and lunch. Artwalk with transportation, wine and canapés. Private home tours. Jewelry display with shopping, cocktails, tour of home and art collection. 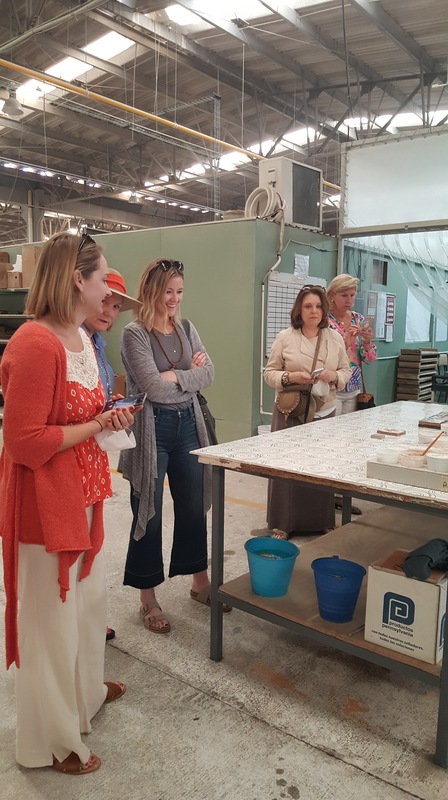 Optional Walker Zanger factory tour for interested group members. Transportation for tours not designated as walking. Guides throughout. Onsite group hosts available 24 hours. Airport transfer. All guide and driver gratuities. 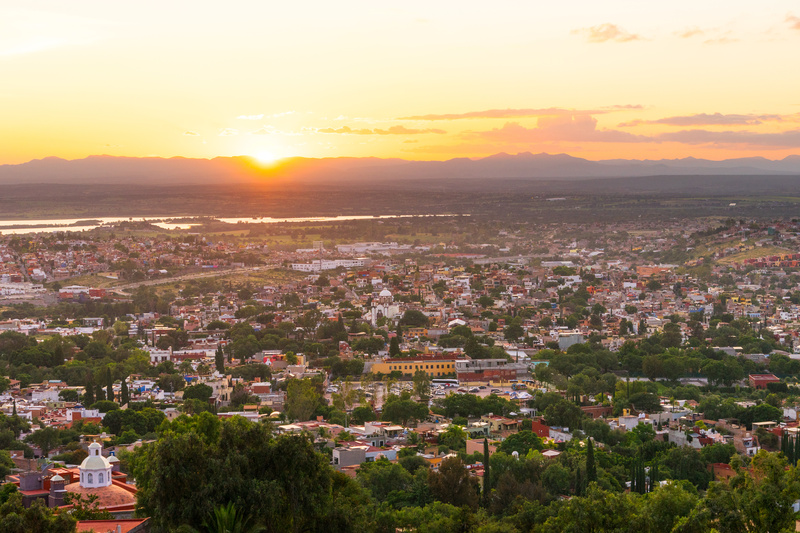 Group members will either fly into Leon, Mexico (code BJX) or Querétaro (QRO). 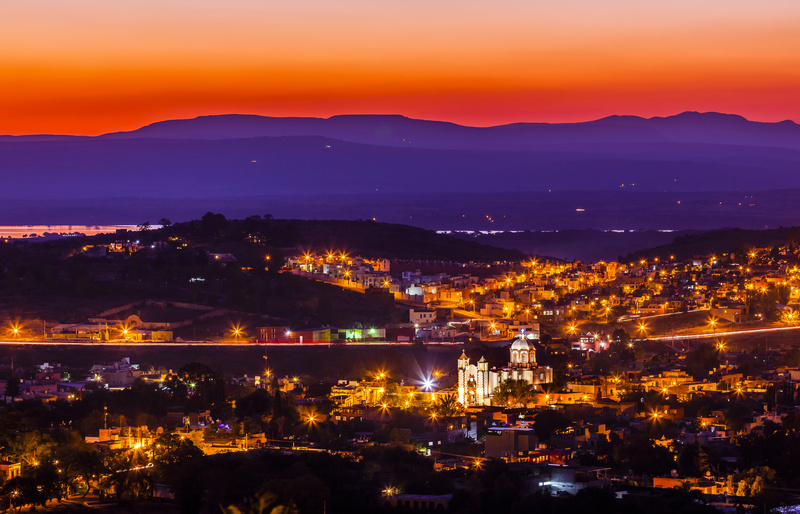 Querétaro is the closest airport to San Miguel de Allende. Our welcome cocktail begins at 6pm and all group members should arrive no later than 2:00pm at the latest in order to attend the welcome cocktail. We will need your flight confirmation to confirm your round trip transportation from the airport. Please provide your flight itinerary to us no later than February 1, 2020. Travel insurance is optional and available for $139.00 per person. Travel insurance is not automatically included in your package. The plan includes 100% cash reimbursement, less the cost of insurance, in the event of cancellation for covered reasons including the most common reason for cancellation – illness affecting the traveler, traveling companion or an immediate family member. Travel insurance does not cover change of occupancy in a group (for example decreasing from 2 adults to one adult in room). The hotel and DMC have strict deposit and cancellation policies with penalties. However, we are able to offer name changes up to 30 days prior to arrival without penalty. Rates are based on a minimum of 10 rooms traveling and are subject to change if the Carolinas Chapter ASID San Miguel group falls below 10 rooms. Per the ASID Carolinas group contract deposits and final payment are nonrefundable. Travel insurance is highly recommended.